This beautiful cushion features Jo's Winter Sheep design in blue, pink and grey with white accent stitching on the sheep. It is a high-quality print of the original handmade textile piece and is an excellent reproduction of the original embroidery. 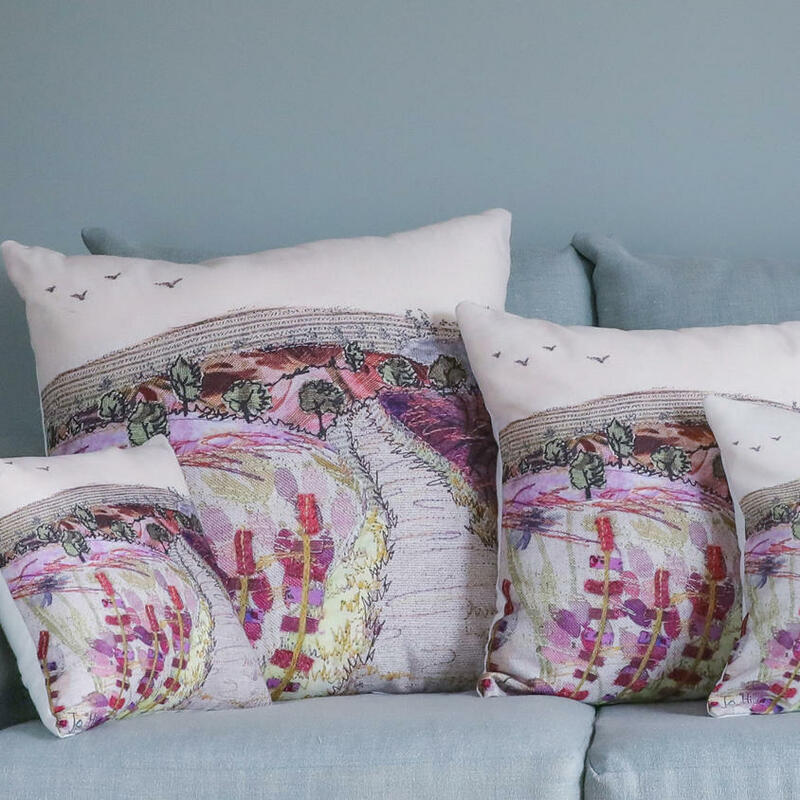 The design is printed onto linen-look polyester and each cushion comes supplied with a removable fibre-filled insert for ease of washing.